Route. 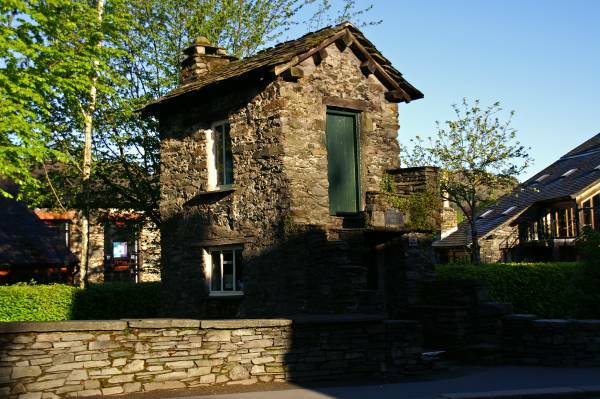 Ambleside - Rough Side - High Sweden Bridge - Scandale Bottom - Scandale Pass - Red Screes - Snarker Pike - Kirkstone Road - Sweden Bridge Lane - Ambleside. Notes. 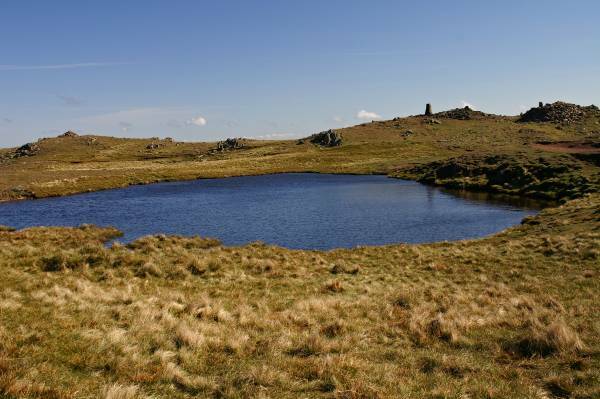 Yesterday saw me on Pen-y-ghent in the Yorkshire Dales, the day was grey with a cool wind blowing across the moors, what a change today, the Lake's welcomed me with sunshine, not a cloud in the sky, a gentle breeze sending ripples across the surface of Lake Windermere, perfect. 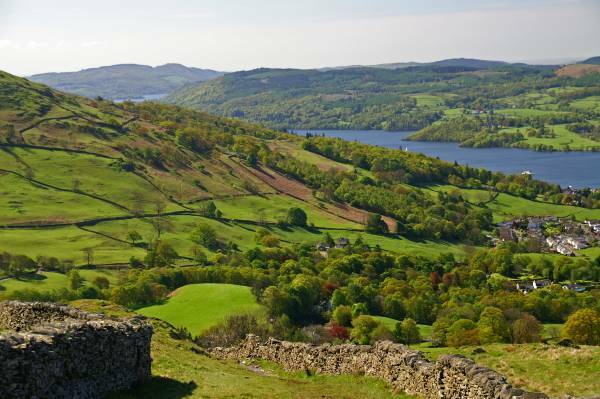 I found myself in Ambleside my sight set firmly on the summit of Red Screes, I would make my ascent through the wonderful hanging valley of Scandale that way Red Screes could save most of it's surprises for the summit. My day started wandering up Smithy Brow passing the Golden Rule Pub before reaching the entrance to Sweden Bridge Lane, the route from here was simple, follow the tarmac lane, when the tarmac ends walk through the gate and keep walking, the lane carried me through woodland carpeted with Bluebells passing old quarries en route to High Sweden Bridge. 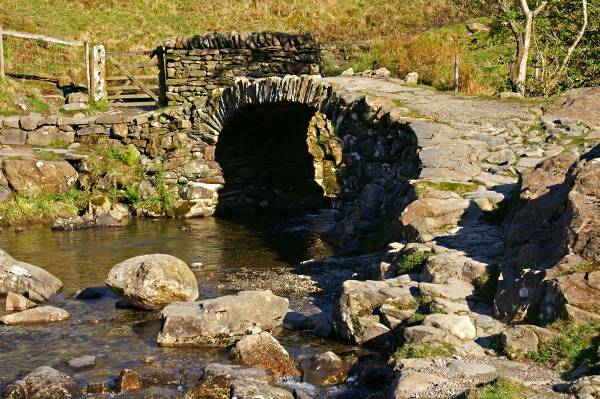 I stopped to photograph the bridge before continuing my journey into Scandale, the lane ended at the foot of Scandale Pass. 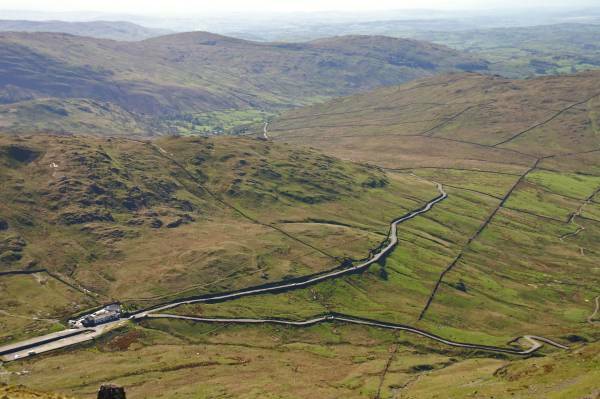 It was a steep ascent to the summit where I turned right (southeast) to follow a wall on the long ascent of Red Screes, on reaching a wall corner the path swung east straight to the summit, ten minutes soaking up the superb views before heading down. 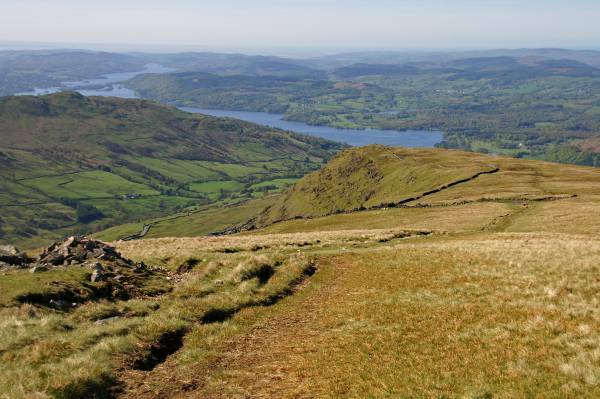 I followed the path past Red Screes Tarn heading in a southwesterly direction to descend over Snarker Moss, take care not to follow an obvious path southeast this goes straight down Kilnshaw Chimney, not recommended. 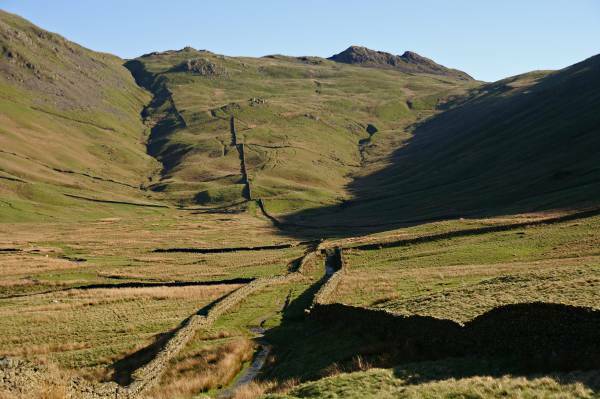 It was a long easy descent over soft ground, I eventually reached the Kirkstone Road known locally as The Struggle, down the hill with tarmac under foot until a finger post on the right directed me to Ellerigg, this path I followed back to Sweden Bridge Lane which took me back into Ambleside. 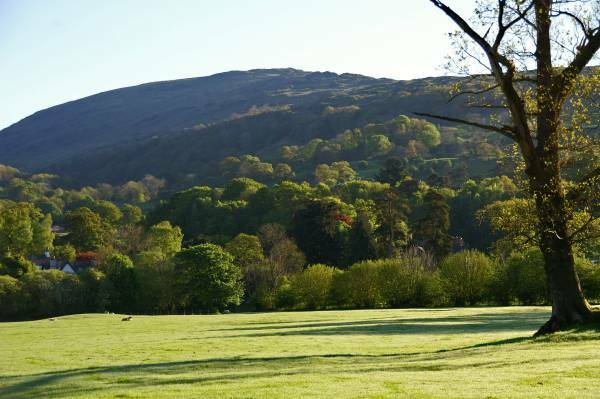 An early morning view to the lower slopes of Red Screes taken from near the footbridge into Rothay Park. Now on the edge of the main road Bridge House once sat in an orchard, how times have changed. 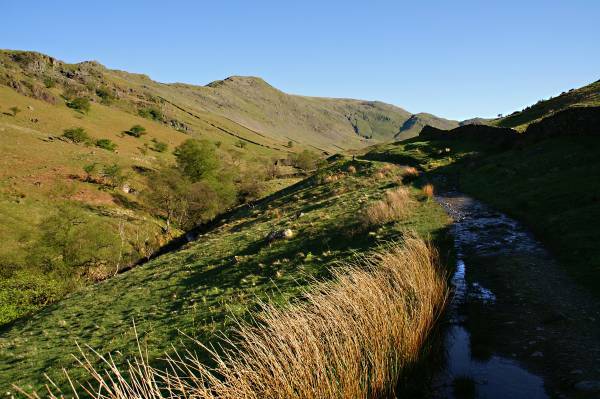 Heading up Sweden Bridge Lane with stunning views to Silver How and the wooded slopes of Nab Scar. 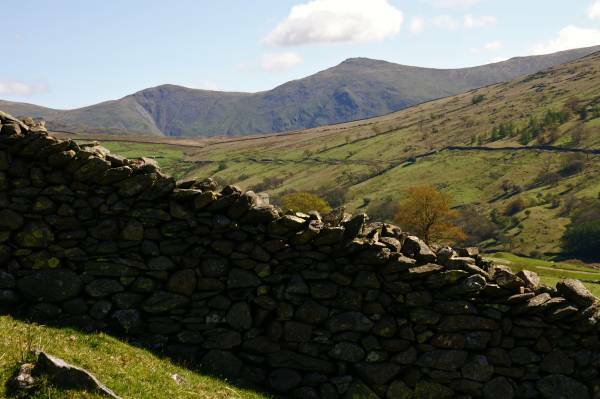 Seen over Scandale Low Pike. 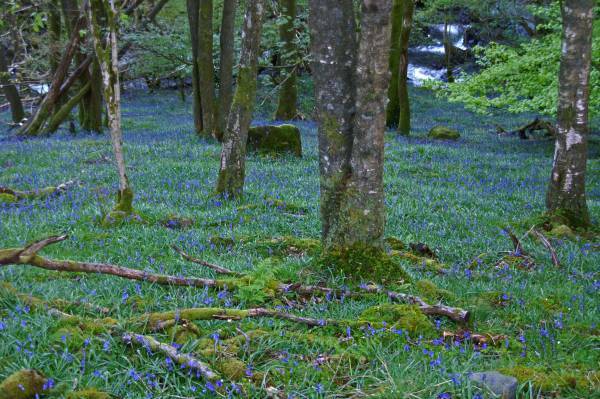 A blaze of colour in the woods at Rough Side. The single arch of High Sweden Bridge. 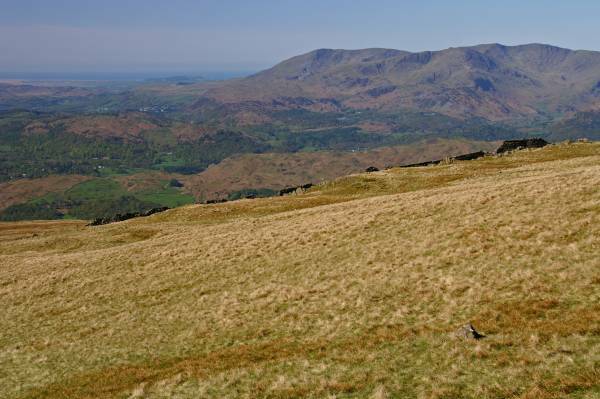 Views up Scandale with High Pike across the skyline. 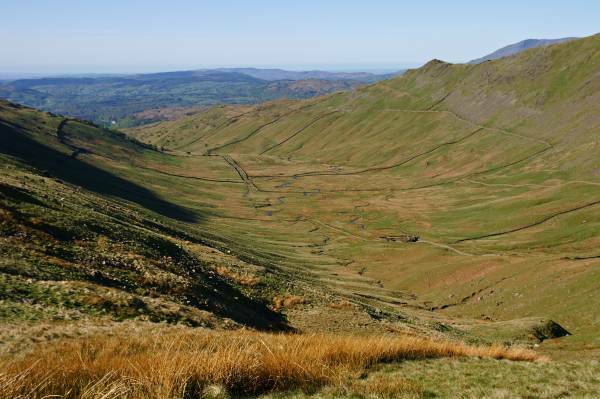 The imposing slopes of Scandale Pass with the twin summits of Little Hart Crag dominating the skyline. 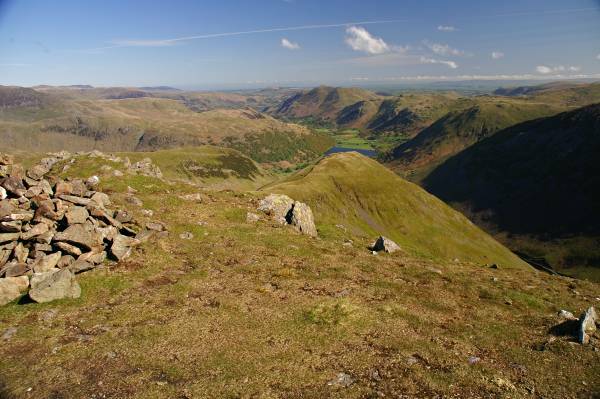 From the summit of Red Screes on of the best views to be had down Patterdale. Yoke, Ill Bell and Froswick fill the viewfinder to the east. Over Wansfell Pike Windermere Lake winds its way south to the Irish Sea. 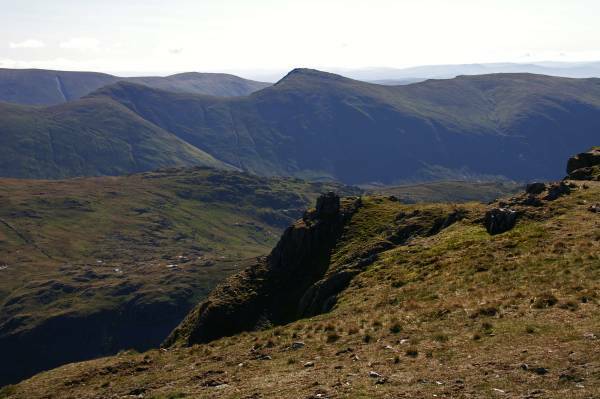 Across the wonderful summit of Red Screes. 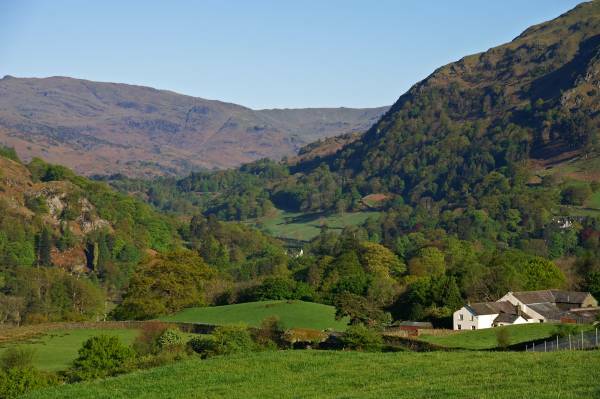 Sour Howes and Sallows seen across Troutbeck with Broad End rising above Kirkstone Pass Inn, just out of interest the single track road heading down to the right is The Struggle I'll have the pleasure of later. 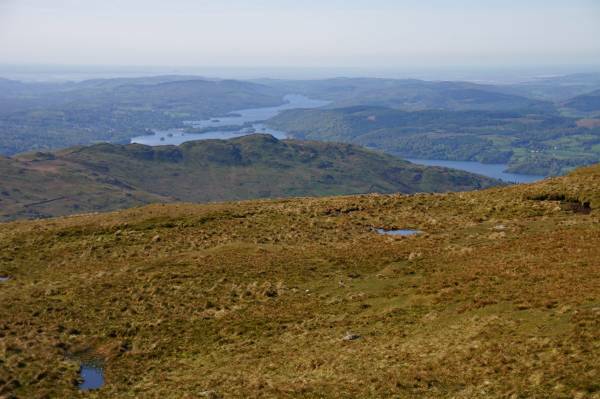 Ahead is my descent route over Snarker Moss, with Windermere guiding me down. 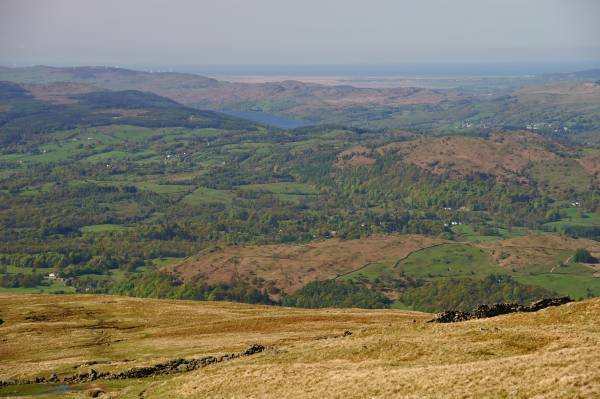 A stunning view to the west, taking in Coniston Water and sands of the Duddon Estuary on the Irish Sea coast. Rising in the western sky Coniston Old Man. 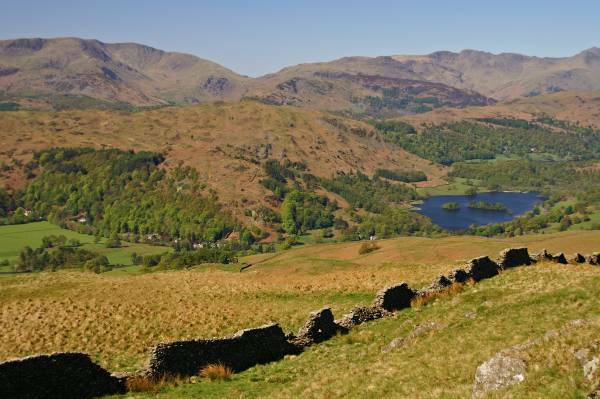 Heading down with a fine view to Rydal Water, the Crinkle Crags across the skyline and the Coniston massif rising to the left of the Wrynose Pass. Descending to the Kirkstone Road with views over the shoulder of Wansfell Pike, looking to Gummer's How on the far horizon. 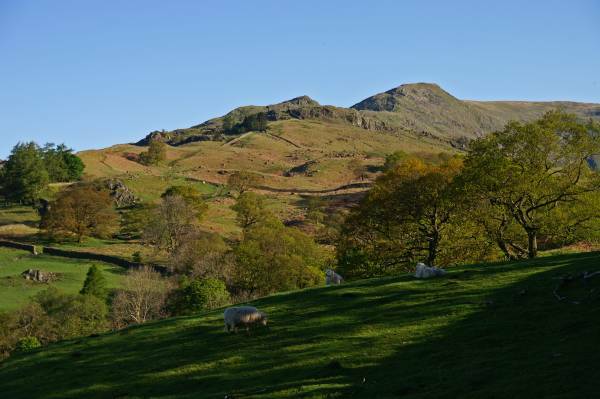 Ill Bell and Froswick seen over the valley of Stock Ghyll. 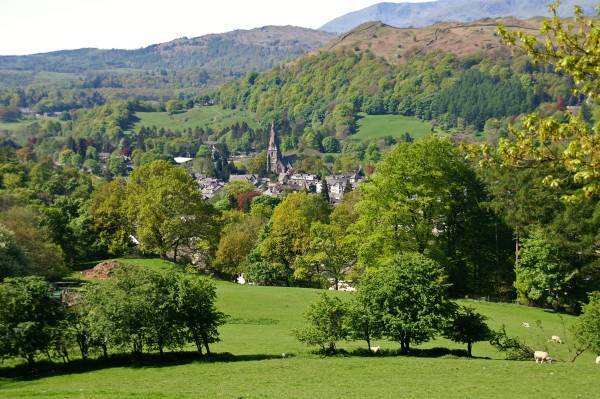 Looking to Ambleside with St Mary's Church dominating the scene.